An Apprenticeship is a real job with training so you can earn while you learn and pick up recognised qualifications as you go. If you live in England, are over 16 and not in full-time education you can apply. Our programmes typically take around 12 months to complete and cover a wide range of job roles in a wide range of industries, from things like Facilities Management, Exercise and Fitness, Team Leading, Management, Customer Service and Business and Administration. An Apprenticeship is a combination of a job role undertaken with training toward a set of approved qualifications that have been developed by employers and standard setting bodies with accreditation from award winning organisations. 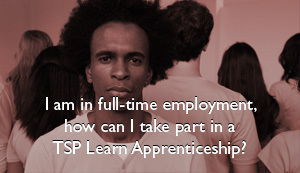 In some industries new employer developed, Apprenticeship Standards have been confirmed. 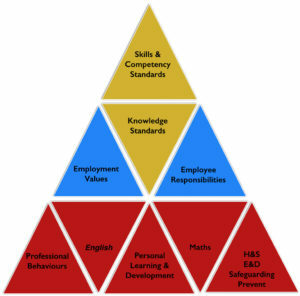 They still have a lead set of competency and knowledge standards and they also include independent End Point Assessment. New Apprenticeship Standards will eventually replace Apprenticeship Frameworks. We provide the knowledge and develop skills while the employer provides the practical experience to put those skills into practice. Training can be classroom based, in a workshop, in a workplace or through a combination of one to one tutorials and online learning, depending on the subject areas undertaken.